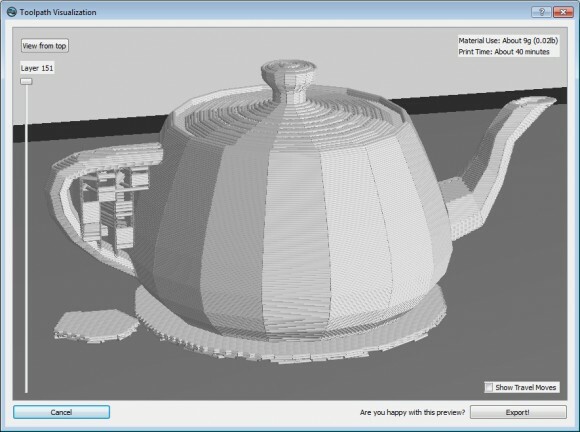 When you are 3D printing a more complex model you may need some extra help to get a good 3D print, the software for 3D printers usually has the options to automatically generate extra Rafts and Supports for the models if you choose to use them. But what are Rafts and Supports and when do you actually need them, this is something that you would probably ask if you are new to 3D printing. On the image above you can see a 3D model of a teapot that we may want to print, however the when you look at the handle and the spout of the teapot “hanging in the air” you may have trouble printing the model normally. So you need to use some kind of support structure that will start from the base and reach to the handle in order for the 3D printer to be able to extrude plastic on something and not in the air. This a case where you will need to select the 3D printer software to add Supports in order for the model to be printed properly, otherwise you may get a 3D print that is not so good-looking useful. After the Supports are printed along with the 3D model they can be easily removed from the model and it will look as it should be. Automatically adding Supports to a 3D model however may not always work great, as you can see on the photo above showing a simulation on how the 3D printed model will look like. There is a support material added inside the handle, no under it however and not in front for the spout. The two small “pools” of material in the base are the Rafts, these are usually not needed for solid objects with larger base. Rafts are a helpful tool if you are printing a 3D model without a larger or solid base that can easily stick to the build plate of the 3D printer and the idea of the raft is to provide this contact surface in order for the model to stay stuck to the plate while it is being printed. Rafts may also help you prevent another problem while printing and that is the edges of the model to start warping upwards. The automatic calculation of Rafts is usually more precise than that of the Supports from the printing software, but when using both it is wise to take a look at the Toolpath Visualisation or what the simulation of what the 3D printed model will look like from the 3D printer software before starting the actual print. The preview usually gives a very good representation of what the final 3D printed model will look like and it can help a lot in spotting some problems that are not visible in the 3D model visualisation part of the software where everything usually looks great. When printing more complex 3D models it is always wise to get a look at the preview and even do some more detailed examination on layer by layer basis to be sure that everything will be printed as it should. So Rafts and Supports are two useful options that may help you get better prints, even though these two extra functions may not always performs great. So it is a good idea to also look for a function in the software that will allow you to manually add or remove support structures to the model, so even if the automatic calculation does not work great you can fix it. 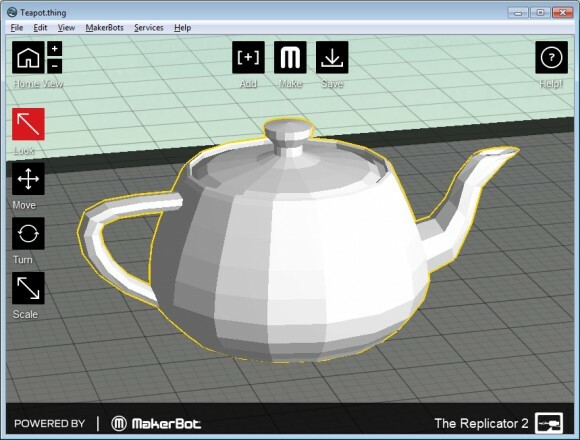 Unfortunately not all 3D printer software do offer such support, for example the MakerBot MakerWare can only do automatic Supports calculations and there is no way for the user to control or modify them. As a result these functions may not always perform great as you can see with the example shown above. This is why it is a good idea to check for alternative software options that have support for your 3D printer, as the supplied by default software with your device may lack some useful options. Also do note that some 3D printing technologies such as Selective laser sintering (SLS) for example do not need support structures to be printed due to the way that the model is being printed.